Despite the numerous benefits and unrivaled dependability Hino trucks offer to its users, maintenance and repair are inevitable for any vehicle. At Lynch, we understand the associated ramifications of having a vehicle missing from your fleet: you lose money. Thus, it is important to have technicians who know your vehicle. Our Hino service technicians are ASE certified and receive extensive training at the Hino Training facility in Novi, Michigan. They are fully trained on the new emission technology and Hino’s new hybrid cab over. With such an in-depth knowledge of Hino trucks, our specialists are qualified to perform any type of repair regardless of model: brake service, cooling system, suspension, Hino diesel engine, and many others. We also offer inclusive collision repair and paint services that cover all Hino commercial vehicles, including commercial truck frame straightening, rust removal & body sandblasting and delivery body & van body repair. Hino Watch also provides 24/7 roadside assistance for the first 3 years of ownership. Call 1-866-365-4466 for Hino Watch service. The service facility located at our Southeast Wisconsin headquarters is equipped with 20 modern service bays that our technicians operate in two shifts every day. 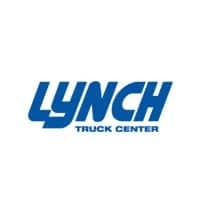 Including a 60-foot spray booth suited to fit any size commercial vehicle and an all-encompassing parts inventory, Lynch Truck Center is truly the “one-stop shop” for any Hino truck project. It’s our mission to minimize your truck’s downtime to the lowest possible amount. Acquiring a Hino truck with Lynch should not be viewed solely as a unique purchase; it’s a lasting relationship with our service personnel through the duration of your truck’s existence. Our Hino truck service techs are the best in the business and we proudly serve a variety of locations in Southeast Wisconsin and Northern Illinois, including: Milwaukee, Chicago, Racine, Kenosha, Janesville, Rockford, Crystal Lake, Waukegan, Beloit, Monroe, Fort Atkinson, Brookfield, Menomonee Falls, Zion, Waukesha, Sun Prairie, Fond du Lac and other surrounding areas.